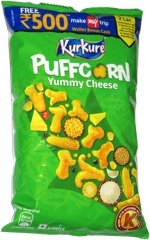 Taste test: These are pretty good chips with a very sweet taste, mostly garlic but partly onion. There's lots of flavor powder on them. 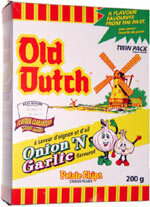 Old Dutch makes some crunchier chips, and those are usually outstanding. There are very good, but not quite snacktacular. I liked the fact that they came in a box (about the size of a cereal box) containing two bags of chips. Smell test: Kind of a sweet onion smell. OK.